An expectant silence filled the dark, cavernous Northpoint Church during a recent Corona Symphony Orchestra rehearsal. The 1,000-plus seats were empty. The only light shone on 50 musicians on a large wooden stage, readying for the debut of “Circle City Suite” – a musical homage to the history of Corona and Norco composed by California Baptist University music professor Glenn Pickett. Pickett sat cross-legged by the harp, breathing heavily and clutching the sheet music he took two years to write, eyes fixed on conductor Marco Mejia. After a delicate flute interlude, the orchestra erupted in a thunderous movement that reverberated through the church. A beaming Pickett, now sitting bolt upright in his chair, flashed a toothy grin and a thumbs up. By the time the orchestra’s Oct. 15 show rolls around, 75 Southern California musicians – many of whom play professionally – will premiere Pickett’s suite along with several other well-known selections. The concert also aims to garner interest in orchestra-sponsored youth music programs, said Don Kindred, executive director of the nonprofits. This summer, 170 students participated in the Corona Youth Conservatory – a route to local orchestras hosted at the local Civic Center. 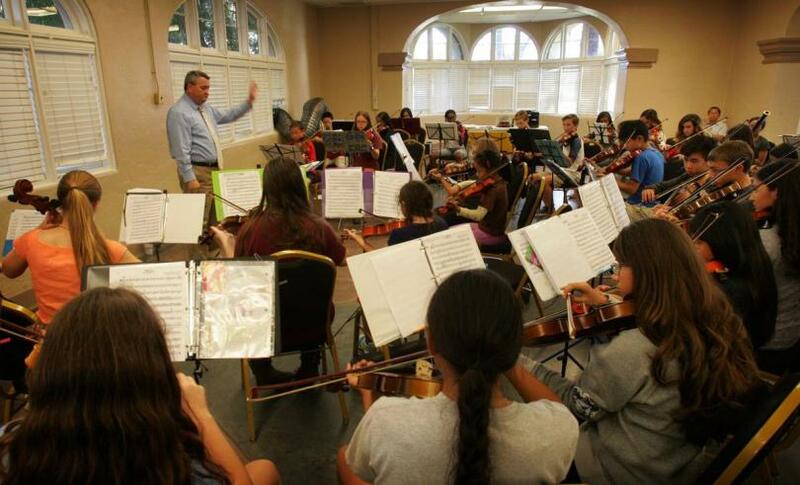 Last year, the first Corona Youth Symphony Orchestra was launched. In 2001, Kindred was approached by a church musician who asked off-handedly if he was still playing bass. At 52, Kindred hadn’t played much over the past two decades, but he took a set of the sheet music and began rehearsing for the upcoming show. “I realized very early on there was a ton of talent in the IE, with very few groups or venues to perform in,” Kindred, now 67, said. With the help of some business-minded musicians, Kindred formed the nonprofit Corona Symphony Orchestra in 2008. The first show, at the Corona Civic Center, was an overwhelming success. In need of more space, Kindred cut a rental agreement with Northpoint Church pastor and music afficionado David Hague. Hundreds of musicians have since auditioned for a part in the ensemble, many with musical degrees and experience playing around the globe. A glance across the stage during a recent practice revealed a wide range of players – from teens to septuagenarians, dressed in T-shirts or business suits. Noemy Wheeler was born in El Salvador, her father an orchestral conductor and missionary. Wheeler attended music schools in Morocco and Spain. During a 2005 performance in Spain, a 26-year-old Wheeler was recruited to pursue master’s degrees in violin performance and conducting at California Baptist University in Riverside. 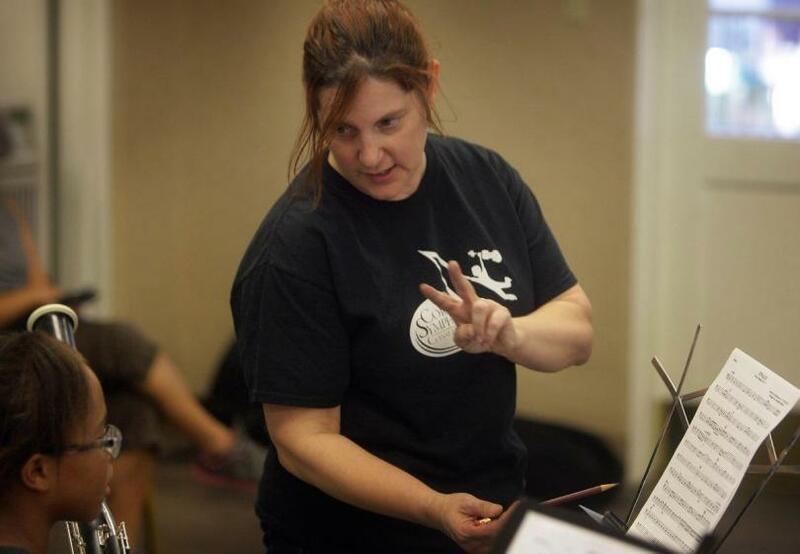 During her studies and subsequent teaching position at Cal Baptist, Wheeler honed her skills at the Corona Symphony Orchestra. She’s played in professional and community orchestras around the world and has backed out of community groups that didn’t meet her standards. Jordan Horwich plays cello in the Corona orchestra. 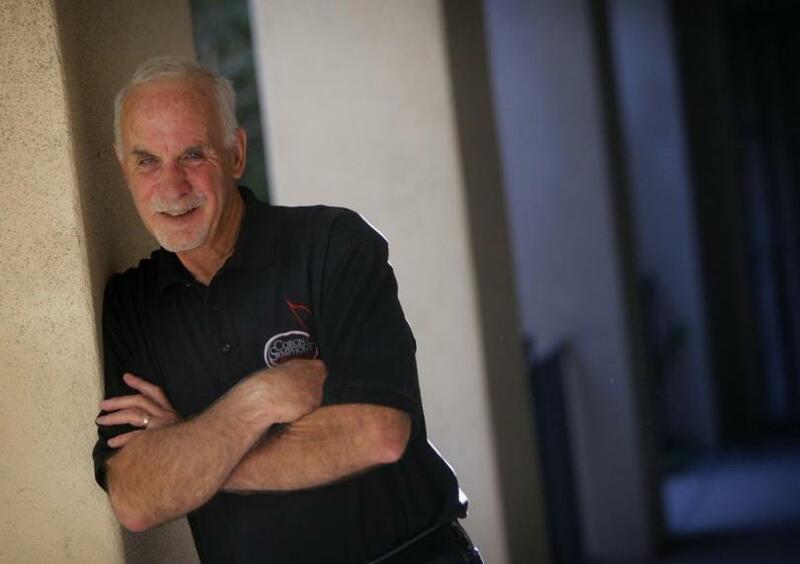 The 55-year-old Corona resident just retired from Intel after decades working there. In his formative years, Horwich said he was invited to attend the Juilliard School in New York, but decided to pursue a more profitable career. “I’ve played with nearly every community group in Orange County and many in Riverside County, Corona is the best I’ve ever played in,” Horwich said. “It’s great to be able to put on that variety of music to attract different people and friends to these performances,” Horwich said. Conductor Scott Bonner directs the Corona Youth Symphony Orchestra during a rehearsal for its annual performance at the Corona Civic Center, on Wednesday, Sept. 14 2016. From left, percussionists Riley Corcoran, 14, and Stella Buelna, 12, arrange their sheet music for the Corona Youth Symphony Orchestra during a rehearsal for its annual performance at the Corona Civic Center, on Wednesday, Sept. 14 2016. Don Kindred, executive director of the Corona Symphony Orchestra and Conservatory, on Wednesday, Sept. 14 2016. Sydney Burr, 10, plays the violin with the Corona Youth Symphony Orchestra during a rehearsal for its annual performance at the Corona Civic Center, on Wednesday, Sept. 14 2016. Conductor Scott Bonner flips through sheet music for the Corona Youth Symphony Orchestra during a rehearsal for its annual performance at the Corona Civic Center, on Wednesday, Sept. 14 2016. Lori Bonner, educational director for the Corona Youth Symphony Orchestra, works with a young musician during a rehearsal for the group’s annual performance at the Corona Civic Center, on Wednesday, Sept. 14 2016. 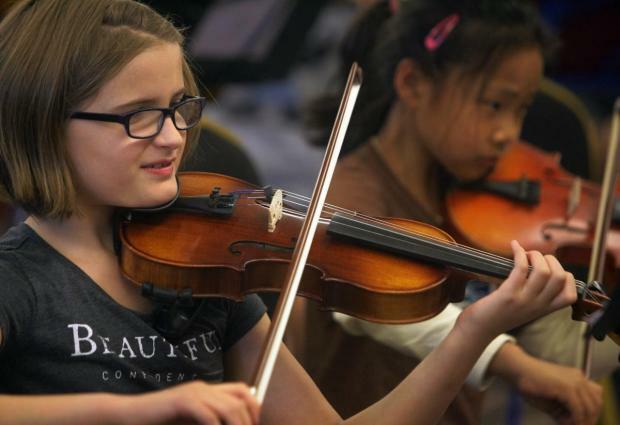 The orchestra’s success helped realize another Kindred brainchild: a youth music conservatory where Inland youngsters could receive low-cost instruction in cello, violin and bass – instruments not typically encouraged at public schools, explained Lori Bonner, a music teacher at the conservatory and El Cerrito Middle School in the Corona-Norco Unified School District. The conservancy began four years ago in a school cafeteria. Only four students showed up to those first classes. Pianist Michaella Ottolini was one of the original four. A pianist first and principally, the 16-year-old Corona native joined the conservatory to try her hand at cello. She was named to the youth orchestra last year. 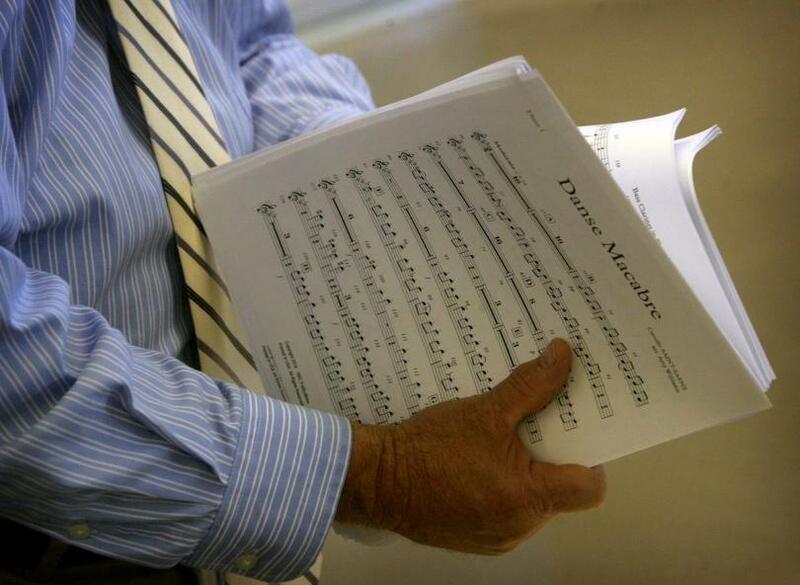 The conservatory trains students between 6 and 18, from beginners to experts. The 15-week programs are held at the Civic Center, where on a recent afternoon a cacophony of sound blasted through every room lining the Sixth Street courtyard. A room of kindergarten-aged violinists worked to master “Twinkle, Twinkle, Little Star.” Another was filled with viola players producing discordant sounds. In a third room, Tyler Black, 13, rehearsed a solo on the bass. “The thing I like most about (the bass) is how loud it is, you can give the group a beat,” said Black, a Corona Fundamental Intermediate Middle School student who also plays violin, drums and trumpet. The $150 enrollment cost helps cover rental costs and pay instructors, Kindred said. Marco Mejia brought the Corona Symphony Orchestra to a hush with a wave of his baton. Wiping his brow with a forearm, he stepped back to address the musicians gathered around him. “What do you guys think; it’s a pretty nice piece, huh?” Mejia said. 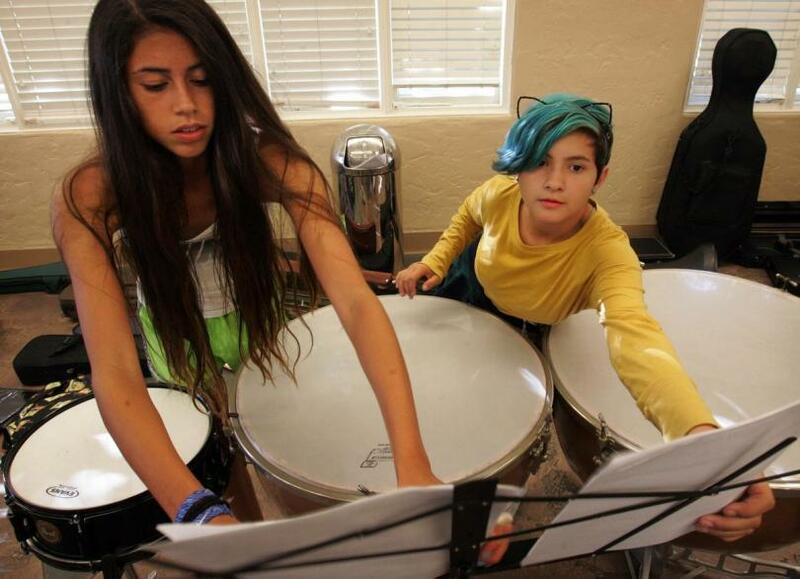 A Riverside native living in Orange, Mejia hopes to one day conduct an international orchestra. Many in the Corona orchestra, including Horwich, say he has the chops to make it happen. For now, he leads the Inland group with a palpable intensity that’s drawn the respect of his cohorts. Knowing his efforts are promoting youth music has given him even more incentive to perform with gusto, he said. The crown jewel of the performance is the “Circle City Suite,” a five-movement suite with a video accompaniment and dictations by Norco Mayor and historian Kevin Bash. Pickett wrote the suite after years of intrigue about Corona’s central roadway feature. The suite honors Native American rituals, arduous cross-country journeys, Corona’s iconic road races, Norco’s proud history during World War II and a hopeful bit about the future of both cities. Members of the youth orchestra will line the nave of the church to perform with the adult symphony.